W. W. Norton & Company, 9780393239553, 224pp. Moving from remote, sun-scorched towns to the charged hum of Venice Beach, The Burning Ground is a collection of eight stories populated by men haunted by their past and by their dreams, set against the canvas of California, where beauty and bleakness go hand in hand. In "A Thunderstorm in Santa Monica," a man's unmoored lifestyle is reflected back at him after a long flight. In "Black Bear in the Snow," a divorced advertising executive tries to rekindle a relationship with his son. 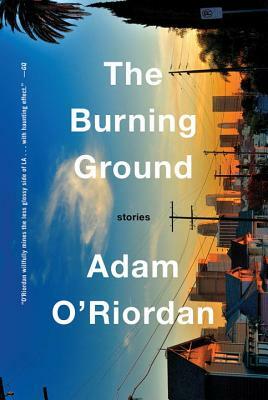 And in the title story, "The Burning Ground," a painter is haunted by memories of his former lover. The stories take familiar roles--the deadbeat dad, the drifting divorc , the wayward man--and bring them new emotional depth, peeling back the layers to reveal interiors both unexpected and arresting in their complexity.